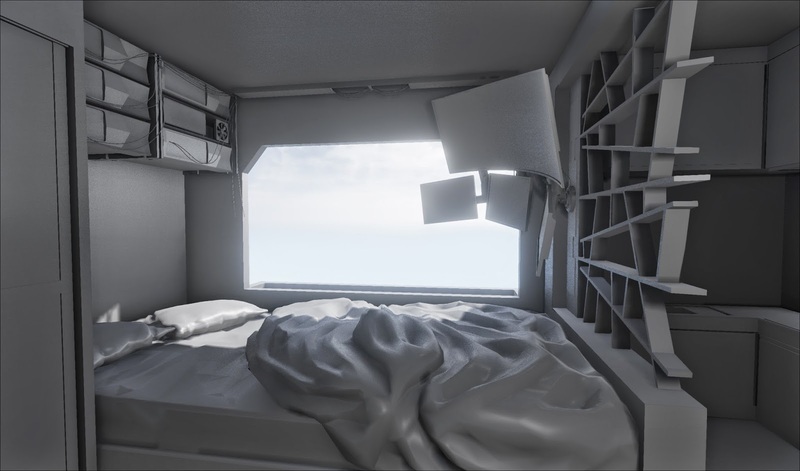 Nikita Olhovskis Game Art: Trying out UE4. So now that the Uni is over I have some time to test out some of the software that has come out in the past few months. Including UE4. Especially UE4. They've changed a lot of stuff in the editor, but overall it is still Unreal we all know and love. Well, at least I do. So far it is very pleasant to work with. I've modelled some stuff and set up a simple scene. Did some sculpting in order to refresh my ZBrush skills as well. Here's how it looks so far with just a plain flat material. Can't wait to get to texturing all this stuff. Node-based material editor is the best thing that happened to game development since in-editor game previews.